Please note that we are moving our blogs to our new website, you can follow us, read, hear, watch and look at our projects at arthur-martha.com/ An archive of blogs will remain on this site. You are invited to a Lunchtime celebration and performance of the arts project Moving Panorama, on Monday 11thJune at The People’s History Museum, 12-1.00. 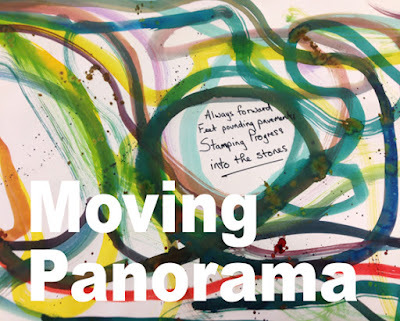 Moving Panorama is the latest collaborative project with arts organisation arthur+martha, Singer Songwriter Matt Hill/The Quiet Loner, The Booth Centreand The People’s History Museum. Further details will follow shortly. But for now, please put the date in your diary and share it with interested colleagues, friends and family. Supported by Arts Council England, The Booth Centre and People’s History Museum.